LAS VEGAS - May 27, 2016 - PRLog -- With the growing concern throughout the country about Veteran homelessness there is an urgent need for affordable housing. 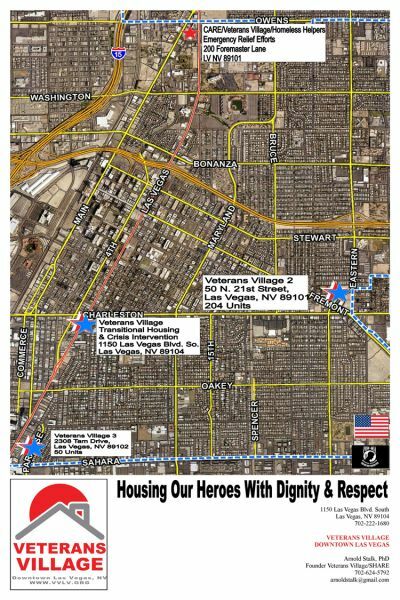 Veterans Village is excited to announce that United States Congressman Joe Heck will visit Veterans Village in Downtown Las Vegas for a special briefing on the Veterans Village expansion plan to end United States Veteran homelessness and tour the Veterans Village Instant Built House prototypes. The comprehensive plan to house homeless and disadvantaged United States Veterans includes three sites, 376 living units, access to the onsite signature Veterans Village 24/7/365 Crisis Intervention Center and other critical services in Downtown Las Vegas. In addition to the briefing and tour a round table will be held with a cross section of veteran residents at Veterans Village followed by a special gratitude presentation. "We are honored to have United States Congressman Joe Heck visit Veterans Village. Congressman Heck was one of the first to support us when we started this mission over four years ago. We are committed to ending veteran homelessness in Southern Nevada and are truly grateful for the support of our elected officials." Arnold Stalk PhD, Founder Veterans Village. • Arnold Stalk PhD, Founder, Veterans Village Las Vegas. • Ms. Cynthia Dias, US Veteran and Veterans Village Resident. • Mr. Michael Harrison, US Veterans and Veterans Village Security staff. • Ms. Carmen Sheppard, US Veteran and VV Crisis Intervention staff specialist. ·Meet with a cross section of Veteran Village residents (Brief meet and greet). ·Briefing on the Veterans Village two development expansion plans and master plan to end US Veteran homelessness. ·Brief tour of our Veterans Village Instant Built House prototypes. ·Special presentation to Congressman Heck from Veterans Village and our US Veteran residents with gratitude that he was one of the first elected officials to express support and encouragement to the startup of Veterans Village.